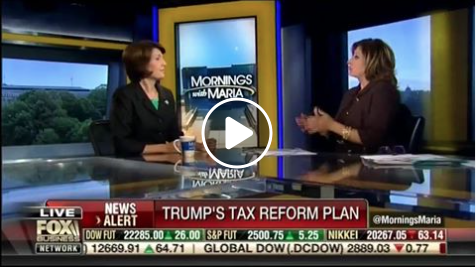 It was great to join Maria Bartiromo yesterday to discuss the importance of tax reform. Our plan is centered around raising wages, creating jobs, and giving Americans the opportunities they so greatly deserve. Like I told Maria, a job is so fundamental to a person’s life. We want to give Americans the tools they need to create a better life.